Juliane Leavens has earned the designation of fellow from the American Society of Echocardiography. The fellowship designates those who are an expert in the field of cardiovascular ultrasound. A fellowship with the American Society of Echocardiography recognizes members with proven professional contributes and a diverse set of skills and comprehensive knowledge of all aspects of cardiovascular imaging. Leavens practices as an advanced sonographer, a mid-level provider. As part of an interdisciplinary team, the advanced sonographer provides advanced level sonography services based through advanced education and clinical experiences. 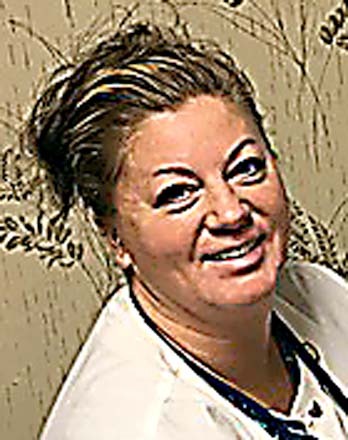 She has more than 25 years of experience in cardiovascular ultrasound. For the past 11 years she has worked in Buffalo for Dr. Kenneth Gayles as the technical director. She interprets all cardiac and vascular ultrasound. She is registered in pediatrics, adult, fetal echo, vascular, congenital heart disease, OB-GYN and abdominal ultrasound. Leavens lives with her husband, Jeffrey, son, Dylan, and daughter, Alexys, in Ashville.